Nine bays (each with 5 shelves) of super heavy duty European manufactured steel industrial / warehouse shelving bays, in size 1800mm (height) x 1200mm (width) x 600mm (depth). Each bay comes with five industrial grade MDF shelves, and is suitable for warehouse, industrial, garage, office or home use. 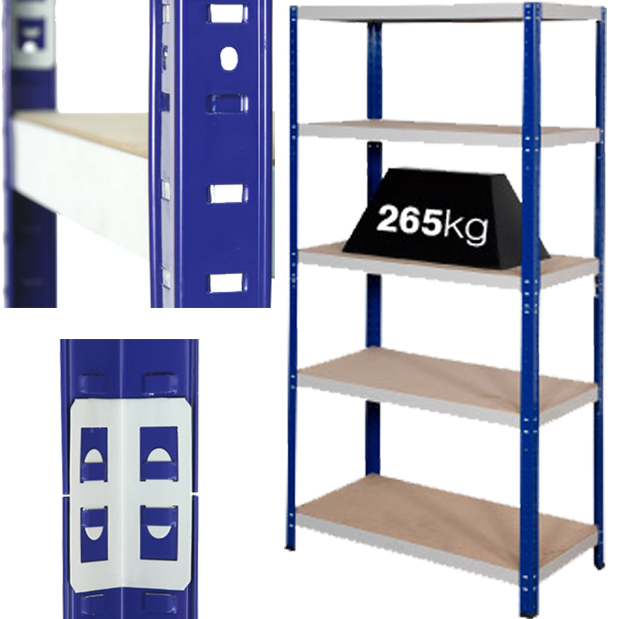 The maximum load of each shelf is 265kg. This 265kg range of shelving is available in six different sizes, all from stock.